wrote one line on here but I bet there is a story there. next week In Scotland. I do hope the weather gods are kind to me. I apologise well done on getting a few Psion. and sorry for getting your name wrong "bat"
Unfortunately the cottage is book and paid for I will have to make the best of it. That's been my experience on the banks of the wild lochs up here. It's really depressing. Beautiful country ruined by a callous minority. I've got a damned busy March work wise, so likely to be out in April next. Drove past my regular haunt yesterday and it was frozen. psion wrote: Unfortunately the cottage is book and paid for I will have to make the best of it. My trip to Scotland as taken another blow my mate as had to cry off his wife is not very well. So I will be a billy no mates. 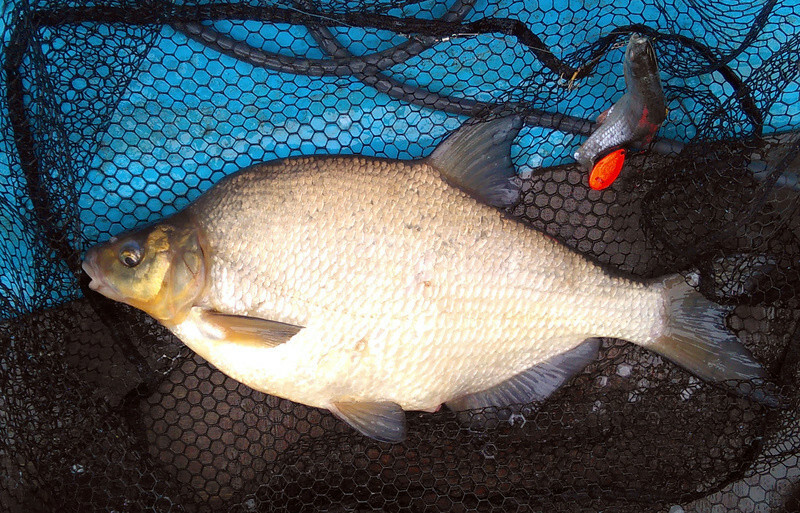 Yes the last time he when he had one at 23lb. 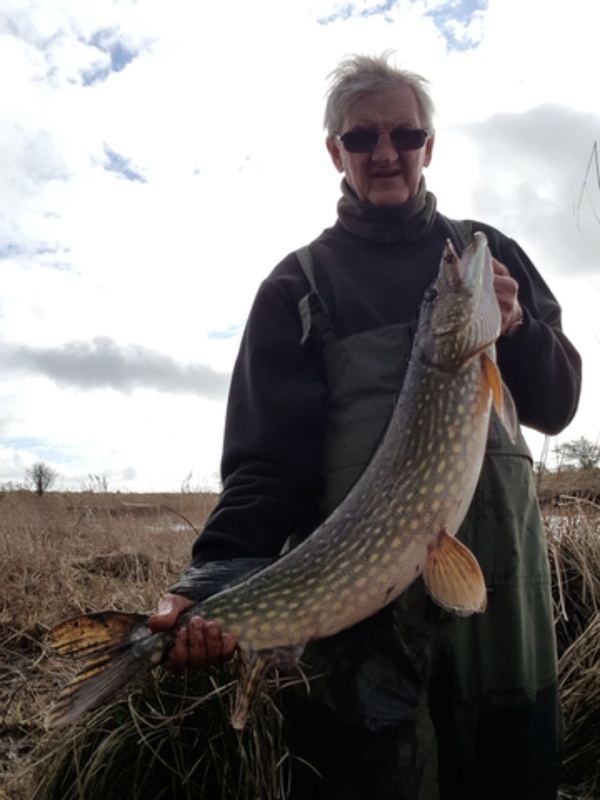 I lost count the number of missed fish but I landed ten fish this one at 13lb being the biggest I also had one at 12lb. Day3 the weather turn nasty with forty mile an hour winds and rain I stuck it out for six hours without a bite before packing up. The next day I got up looked at the weather and decided to come home. well done bat and Psion. 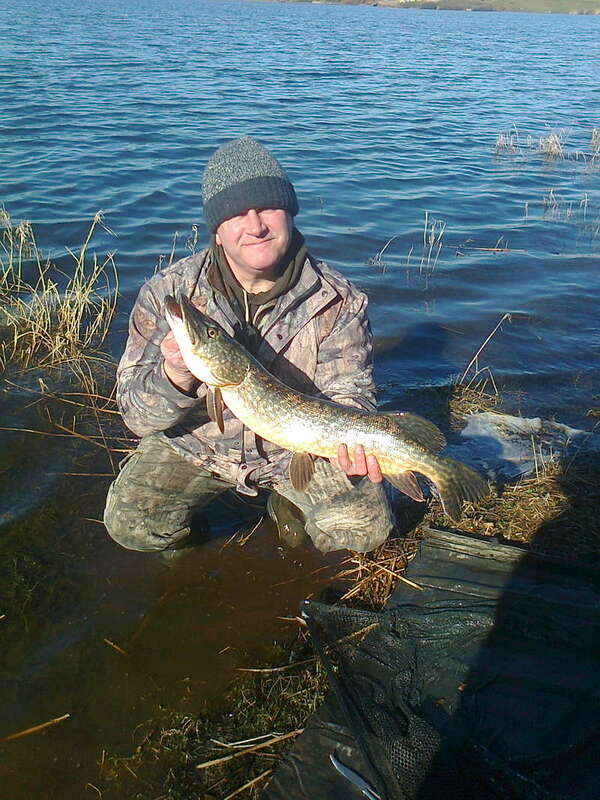 I had my last deadbait day of the season yesterday and landed one 14lb Pike, so ended not on a blank. 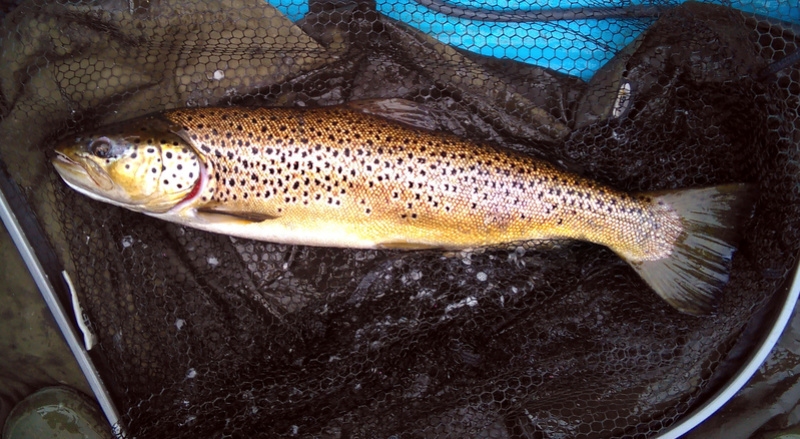 today was trolling for wild brown trout again and this time I had 2 lovely fish at 5lb 12oz and 5lb 1oz, plus a bonus 4lb bream hooked in the dorsal lol. 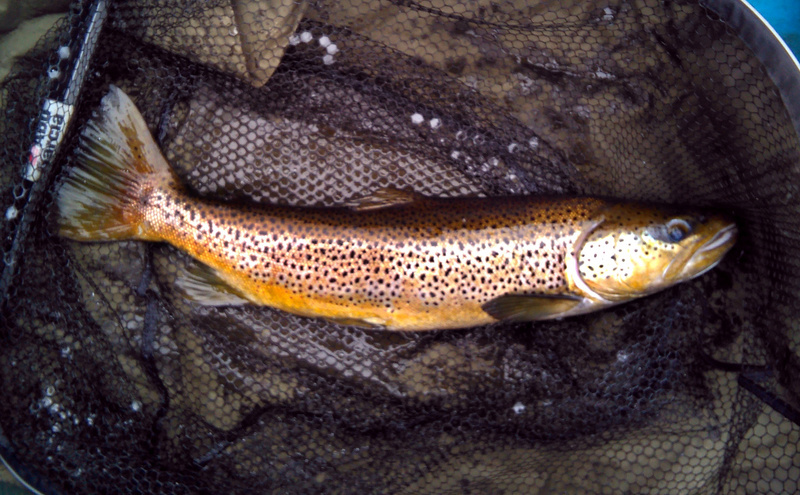 Nice Trout I will be finishing dead baiting at the end of March then I will be getting the boat out after Ferox Trout. I was out yesterday but unfortunately I blanked one more trip next week then that's the season over. 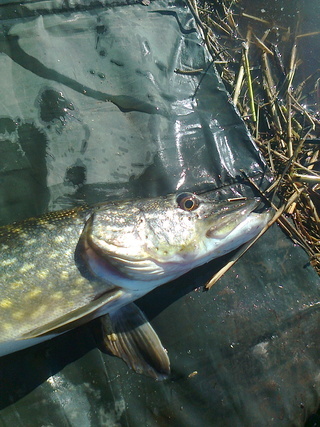 I did have Easter weekend penciled in for piking, but the forecasts are all saying Arctic cold snap again. Highs only just above freezing through the day (and bright sun - the loch never fishes well in bright sun) and minus 5-6 overnight (which probably means ice cover). Oh well. I'm stupidly busy at work at the moment anyway, so I'll just have to postpone. Again. I haven't had much to shout about this season , so been relatively quiet. 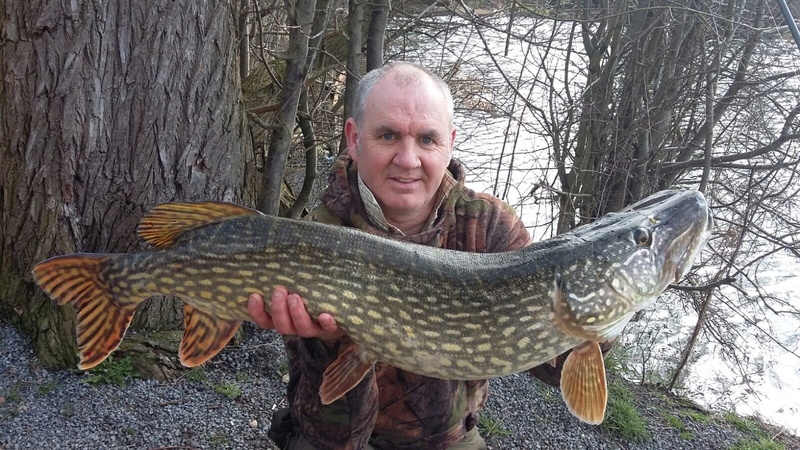 Over the years I have been GENUINELY gutted at catching 3 or 4 beauties at 19.14 or 19.15  ( sad but true) so I suppose karma works itself out and a 20.01 will just do fine ....... So here she is from yesterday.